Some of our themes include an Instagram feed feature, allowing you to show your latest Instagram photos directly on your blog. 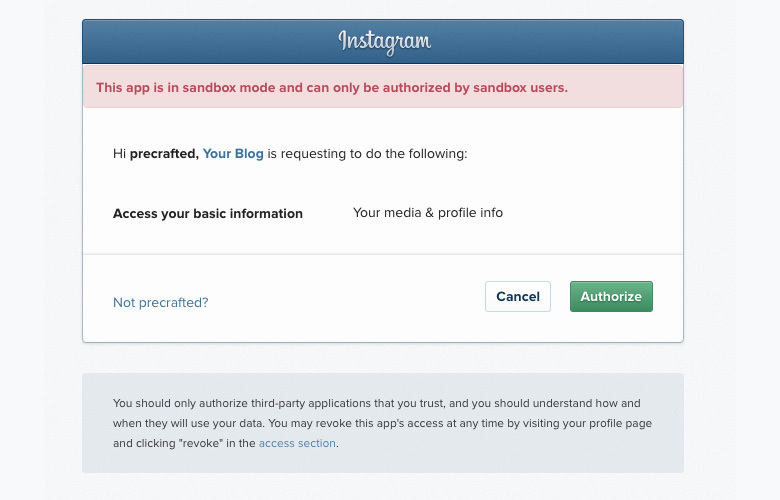 To do this, you’ll need to authorize the theme to get your photos from Instagram. 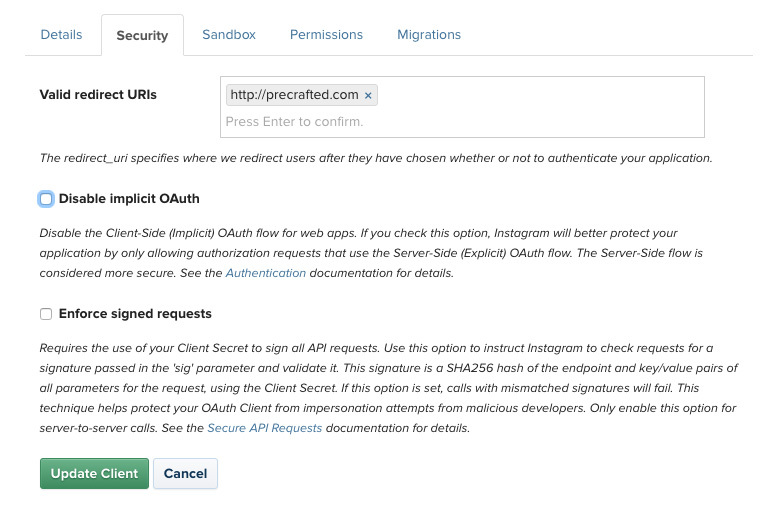 Click here to go to the Instagram Developers page, and click the Register a New Clientbutton in the top right corner. You’ll get a form to fill out. 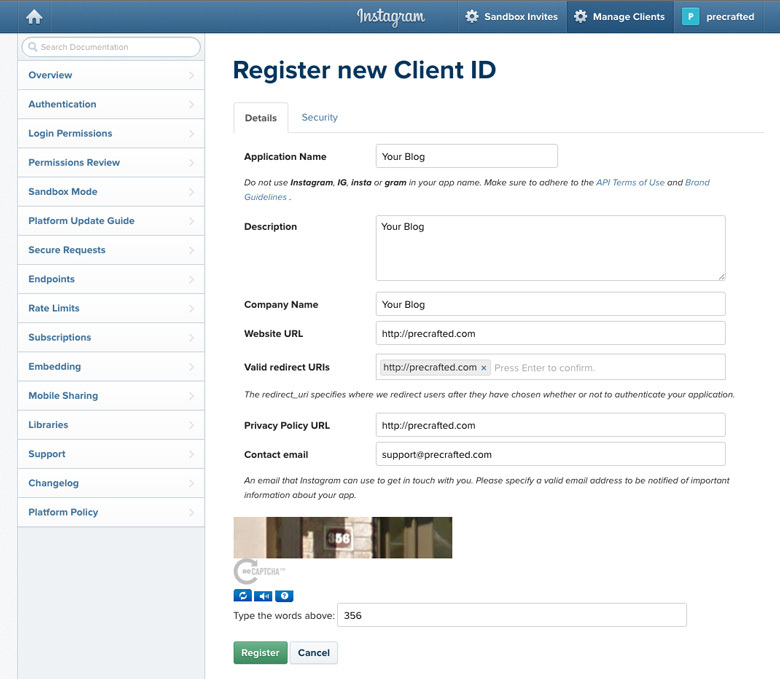 Enter your site/blog’s name in the Application Name, Description, and Company name fields. Great! That’s all the options done. If you don’t see the Migrations tab or the Non square media option, don’t worry – Instagram are removing this after June 1st 2016. 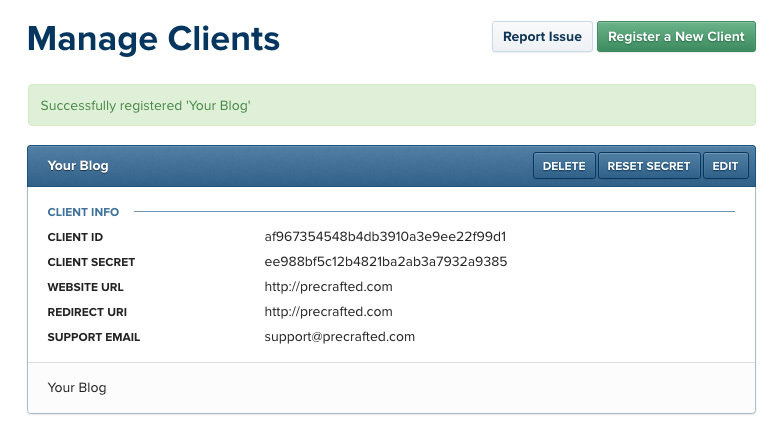 Now, copy the Client ID code under the blue Client Info heading – you’ll need this in the next step. You’ll need to replace the CLIENT-ID with the Client ID code you copied before, and the REDIRECT-URI with your Tumblr website URL. It must be the same address you added to the client settings in step 2, otherwise it won’t work. The part after the = symbol is your Access Token. Copy this, and paste it into the Instagram Token setting on your Tumblr’s Edit Theme page.